You’re a current student and maybe you are a little nervous about money issues. Should you get a campus job and how do you find one? What does your financial aid package mean? How do you know when your loan money is available? Where can you find additional Randolph College scholarships (also check out finaid.org, fastweb.com and collegeboard.com)? All very good questions. The Financial Aid Office is here to help you explore the multitude of financial aid options. We are available to clarify what your financial aid means and how it helps you. Our staff understands that you are working hard academically – your financial aid shouldn’t be as difficult to master as your biochemistry class. If you would like to schedule an appointment to meet with us, please call extension 8128 or email us at financialaid@randolphcollege.edu. We are located in the Admission Welcome Center, across the street from main campus. Our office hours are 8:30 am to 5:00 pm. Did you know that there are financial aid penalties for drug law violations? Learn more from the U.S. Department of Education. 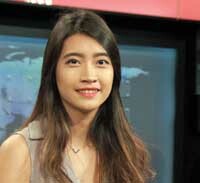 Ei Thant Sin '16, international broadcaster at Voice of America "Communication studies classes allowed me to view the world's media more consciously and be aware of what we, as the public, consume daily. Now, as an international broadcaster, I am utilizing my knowledge on media theories that I learned in Randolph classrooms and am more aware of what we put out there for the public to listen." Writing Intensive Curriculum Randolph emphasizes quality writing as a key component of the academic experience across all disciplines.